When you have a goal to learn and get up to date with new technology fast, visual learning for me personally is my preferred way to start. One of the the probably best known technology learning platforms out there is Pluralsight. Pluralsight provides web development, IT certification and on-demand training. Since I wanted to explore Sitecore JSS through these blog-post series, I needed to learn a new technology stack. And yes, that could have been either React or Angular. But like said here, I wanted a different flavor for Sitecore JSS development. Having my background in back-end development (I certainly won’t consider myself to be a full stack developer at the moment), the learning curve is definitely there. But like everything in life, everything can be learned ;-). 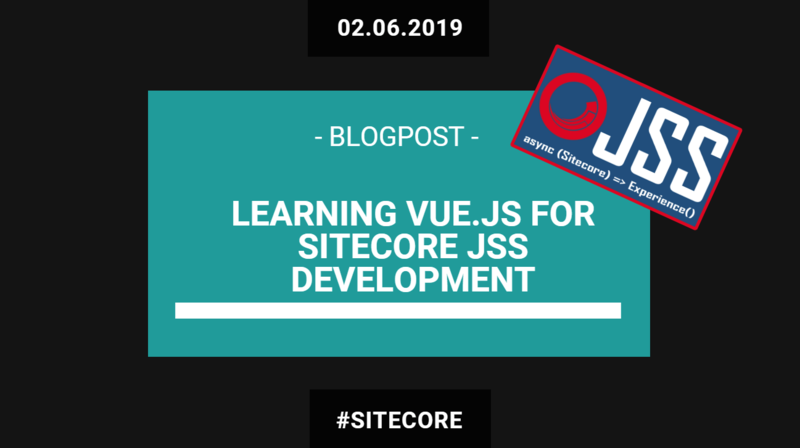 In this short blog-post I would like to point you to the various Vue.js courses that are there on Pluralsight.com, maybe you haven’t been aware of its existence but I would recommend the following courses when you want to get started with Sitecore JSS in combination with Vue.js. Hopefully Vue.js will be more adopted while developing Sitecore JSS powered apps. Saying Vue.js is a fast-growing and exciting library is a major understatement. With nearly 100,000 stars on GitHub, Vue.js is rapidly becoming the default choice for web application development. 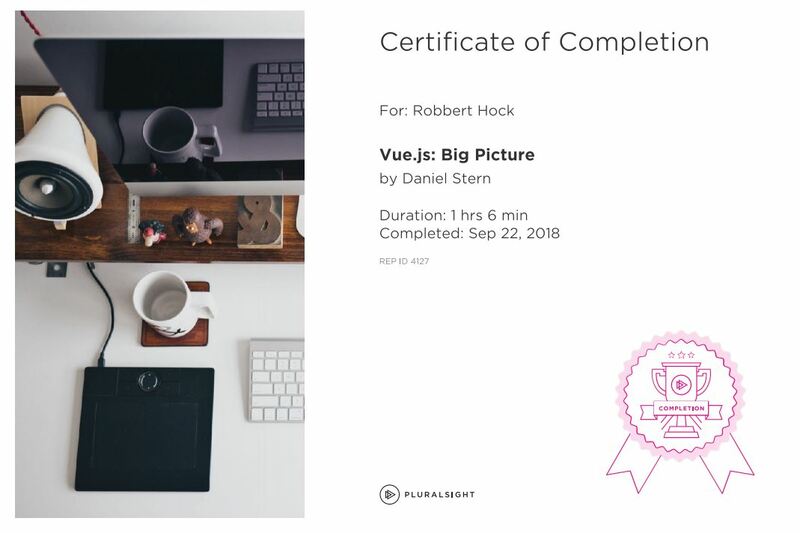 In this course, Vue.js: Big Picture, you will get a big picture overview of Vue, understanding what its features are and where those features are most useful. First, you will learn Vue’s capabilities and limitations. Next, you will discover the libraries of the Vue ecosystem. Finally, you will explore how to use Vue for prototyping. When you’re finished with this course, you will be ready to start your journey towards being a Vue expert. Do you want to learn to develop Vue apps quickly while following the recommended tooling? In this course, Developing Faster with the Vue CLI, you will gain the ability to build Vue apps efficiently with the Vue CLI and popular Vue developer tools. First, you will learn what the Vue CLI does, how to install it, and how to use it to generate and serve Vue apps. Next, you will discover the various options and outcomes of using the CLI to build apps, libraries, and web components. Finally, you will explore how to add unit and end to end testing, extend your Vue app with plugins, and take advantage of the Vue CLI’s UI. When you are finished with this course, you will have the skills and knowledge of the Vue CLI needed to develop Vue apps efficiently. Vue.js is one of the most lightweight and enjoyable front-end development frameworks for building modern web applications, and there are a lot of important concepts to learn to become a skilled Vue developer. In this course, Vue.js Fundamentals, you will gain the foundational knowledge required to build robust, production-ready applications with Vue. First, you will build your own project from scratch with the Vue CLI, including creating components and manage communication between components. Then, you will learn to create routes and navigate from page to page, manage state and communicate with the server using Vuex, and create custom directives. Finally, you will deploy your application to production. When you’re finished with this course, you will have gained the fundamental skills and knowledge of Vue.js needed to create reliable and professional Vue applications.